These crocks can be delivered anywhere in the Contiguous United States. Your USA made ceramic crock is shipped from Virginia by UPS to arrive within four to eight business days of our receiving your order. Small Crocks that are practical for everyday uses: containers for potpourri, candy, magazines, kitchen utensils, cookbooks, pens and pencils, or even candles. 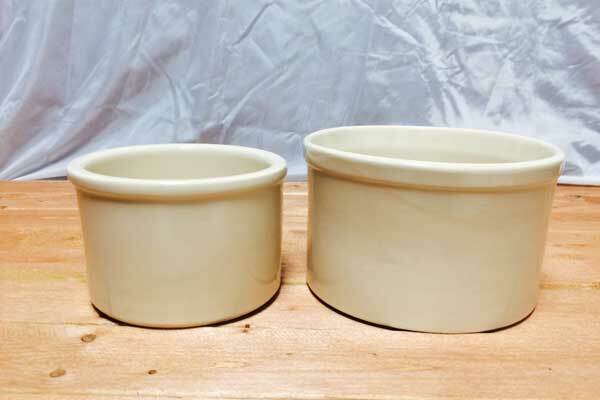 These crocks are made with lead free glazes which makes them food safe, microwave oven, conventional oven, and dishwasher safe.